SEO is the key element that plays a vital role in the YouTube success online. There are some millions of videos that uploaded on the YouTube platform, and it is tough to stamp your presence at the top results with your video on this largest video platform. So, the only key is perfect YouTube SEO techniques to stand aside from the crowd. First of all, you must know the basic elements of the YouTube SEO which mean YouTube SEO basics that helps you to have a good start with the SEO. Here you can find the YouTube SEO Tactics. First things first, upload your video in a format that is accepted by the YouTube and makes sure about it. It must be under the 15 minutes video length and must not exceed 15 minutes. Make sure the video that uploaded to the YouTube must have the good quality of picture and sound too. During the uploading if your video, you will be asked to give a particular title to your video along with some description of the video. 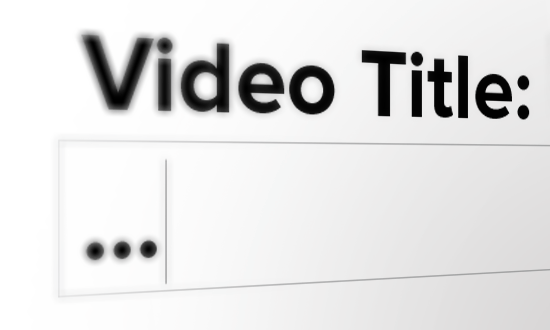 So, remember the category and the purpose of your video and include the words that searched by the audience that is relevant to your video and includes them in a title. Don’t make big description of your video; make it short, clear and understandable to everyone. Keywords play an important role in the YouTube videos. So, go with some short research that which word as is used in the search engines according to the relevancy and make a list of those keywords and get included in the descriptions and tags of your videos. You can choose a thumbnail for your video after the completion of uploading your video on to the YouTube platform. Let the thumbnail must cover the subject of your video, and it must be attractive. You can also make your product image or any other relevant image as your thumbnail for your videos. The optimization of the YouTube channel included with the efficient optimization of Tags and description of the videos. YouTube is like an ocean, and you must have some unique identity to get identified in that ocean. The tags and descriptions play a vital role to achieve your identity among the rest of videos that re-uploaded on to the YouTube platform. The description of the video is a nice opportunity for the brands or marketers to provide complete information about your video and chance to describe your channel and to link your other contents in the description. So, optimize your YouTube Channel description in the best structure. Go with the specific format. There is sufficient space for your description. So, firstly go with the description on your video clearly and then about video series, then come to the Channel description and go with linking your other content. The order helps you to rank better in search results. Don’t forget to make it keyword rich. By using the links, you can drive more traffic towards your channel. to reduce the spammed content, YouTube banned the public tags because some people are making frauds to increase their views and manipulating the results favorable to them. But, the Tags on YouTube platform play an important role in indexing your videos. Make relevant tags at first in order by including keywords which you have already used in your Video title. You can use eight to twelve tags which are suggestive to everyone for better results. YouTube is the largest video platform in the world which has a great engagement of brands and independent artists on its platform. There are millions of video content uploaded on to the platform every year. Many businesses were targeting the YouTube platform for the better marketing results. The YouTube videos will be at the top results in the search engines, and it curates the quality content continuously on to the search results. Even some business was also earning huge benefits with the YouTube advertising online. But, businesses need to optimize their YouTube channel to get better results. The channel must be designed accordingly with attractive logo along with the social icons to access your other profiles. Make a clear color background with clear profile information. Put on the tags on your page by including the keywords into it. Content strategy helps you to improve the rankings and can gain good exposure on the platform. Create How to videos, Product demonstrations along with the testimonial videos from the clients which are very effective. Also, plan an audience poll and describe with animated figures. Optimize your Tags by including with the keywords and customize your thumbnails with relevant pictures that uploaded on to your channel. Create playlists for the public which helps you better video views for your old videos also. Optimize the annotations and include good call to actions that can link to your home page. Promotion of the channel is very important, to promote and promote your channel by starting the real-time conversation with the audience and answer their questions and doubts. Cross promote via other social media platforms efficiently. Video ranking is very important for the marketers or business or individual artists on the platforms like YouTube. YouTube is the platform which offers the free uploading of the videos without any charge and also provided the users a chance to meet the millions of audience across the globe. It is the largest platform and big video search engine. So, there is a need to optimize your video on YouTube to get good rankings. Ranking is matters, to build audience and to drive traffic. So, here are some ways of optimizing your video to drive more traffic by achieving good rank with positive exposure. The optimization of the video titles, Tags, and description helps the audience to find your videos on the YouTube platform and on the search engines too. Description must be in a ordered way and make the first things first as order will definitely matters the result. 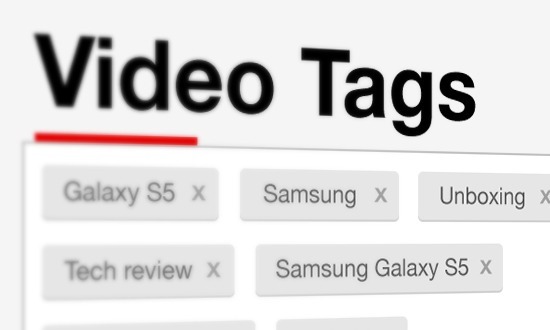 Tags must be included with the keywords which are already in use in your video Title. Use annotations overlay on to the text boxes. Share the content and promote it. With an increase in usage of internet and accessing the content via smart devices, the video viewing rates had greatly increased in every country across the Globe. So, everyone focused on the video and the optimization techniques to make their video special by gaining more viewers, subscribers, and audience too. Marketers are focusing on the search engines for their rankings on the top results to build greater audience towards their videos. What matters for search engines? Every video creator was focusing on the search engine results, and that is the biggest among several reasons that why people were going with the YouTube videos for rankings. YouTube platform researchers on the audience viewing behaviors in search engines and individual viewing habits in considerations for displaying the results. So, its algorithm is a complex one which undergoes several changes time to time to target the relevant video results for the searchers on various search engines. What did YouTube really want? YouTube channel looks for better content with good quality, unique and compelling and must be attractive to the audience. The links that added to your videos must be helpful for the viewers to learn more about your video content and behind the scenes. It is better to add some header links to your websites and other profiles for best results. Make a rich keyword description in an orderly way. Make some sub-lists other than the main playlist. YouTube platform is offering the creation of multiple playlists so, utilize the feature and make sub-lists with different ideas and place your videos according to the category. It makes the people easy to search the content they need from your videos and navigate comfortably. Optimize your channel navigation with good video uploads and enable the channel activity feeds and save the settings. So that, the viewers can easily access your channel. Also, add closed captions to the video that includes the written script. Also, optimize the comments along with the off page optimization ways. Go with the backlinks construction and social sharing and use other external tools for better promotion and optimization of the YouTube videos effectively. Video content is the most powerful content in the digital marketing practices. No other content has that much effective as the video can do. The videos are treating as the investments by the marketers to gain profit by generating the revenue from them. YouTube is the platform that comes to every mind when you started pronouncing the name video. Though, marketers following their marketing and advertising on YouTube with the videos, the promotion of the videos can do beyond the YouTube. The quality plays a key role whether you are advertising on the YouTube or beyond the YouTube. But, the reports showed that the video content marketing is more successful beyond YouTube. Create your videos as if you are creating to promote it. Educate the people on what you want to convey straightly. Make your video interesting to the audience. The audience behavior of viewing depends upon the video length and quality of the video. There are many other alternate sites to post your YouTube videos on to. The platforms like Vimeo, Daily motion also ranks well on search engines. Because, if the people find your video some results they are most likely to click on your video. So, go with a good description with optimized keywords and post on the different platform to get similar same video results for the audience search to make them click on to your videos. Describe your video content on your blog and make links to your videos and start real-time conversation on various social platforms about your content to drive more traffic.